The purpose of Medicaid is to help people access health care. Kentucky’s new Medicaid plan actually limits access – and that’s illegal! This plan to impose premiums, benefit cuts, and work requirements promises to kick people off Medicaid who don’t deserve it. Most Medicaid eligible adults in Kentucky are already working – many in restaurants, construction and stores. People are too busy working and raising families to have to report their income every 30 days. And how much is this going to cost the state to administer? 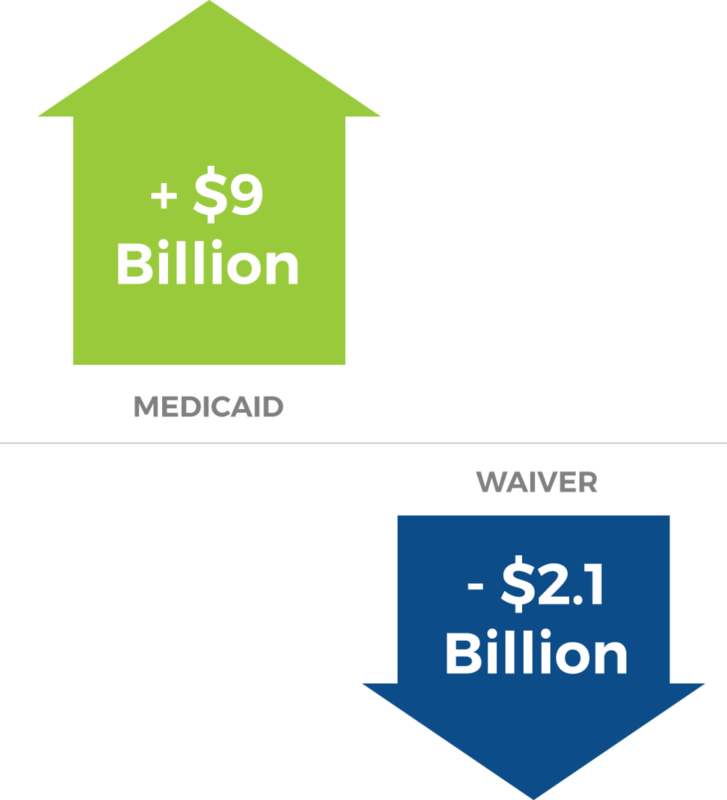 Medicaid brings almost $9 billion federal dollars into Kentucky every year. The Governor’s office estimates that this waiver will cost Kentucky almost $2.1 billion federal dollars in the next 5 years. The Governor’s office has already estimated that all the new regulations will cost more per member in administrative costs. 66% of Kentuckians, including 53% of Republicans, don’t want any changes to Medicaid, according to a recent Mason Dixon poll. 3,000 Kentuckians, representing every county, have gone on record saying this is BAD idea. It saved my life when I lost my job and was able to continue to get medication until I was back on my feet. National Health Law Program (NHeLP) and Kentucky Equal Justice Center and others have filed a class action lawsuit against these waivers. It will be a costly legal battle. But if we let these waivers stand, it will cost Kentucky money and Kentucky lives. *Donations processed via a secure site. A project of the National Health Law Program.